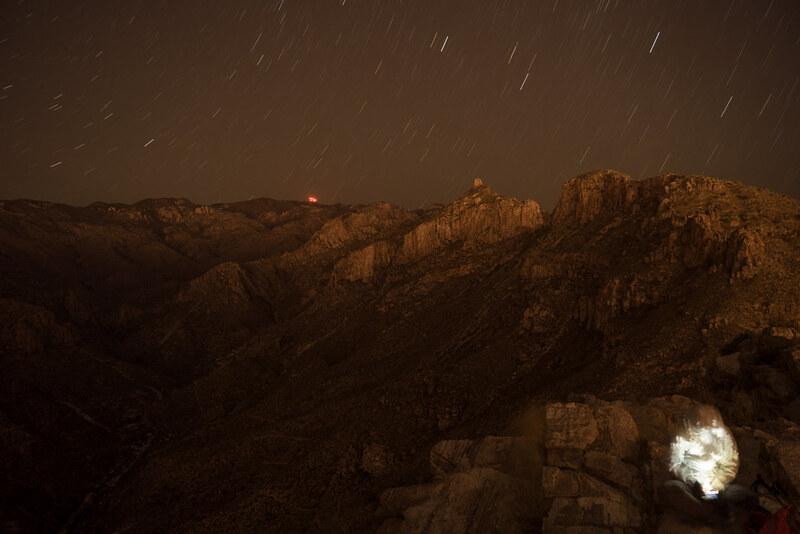 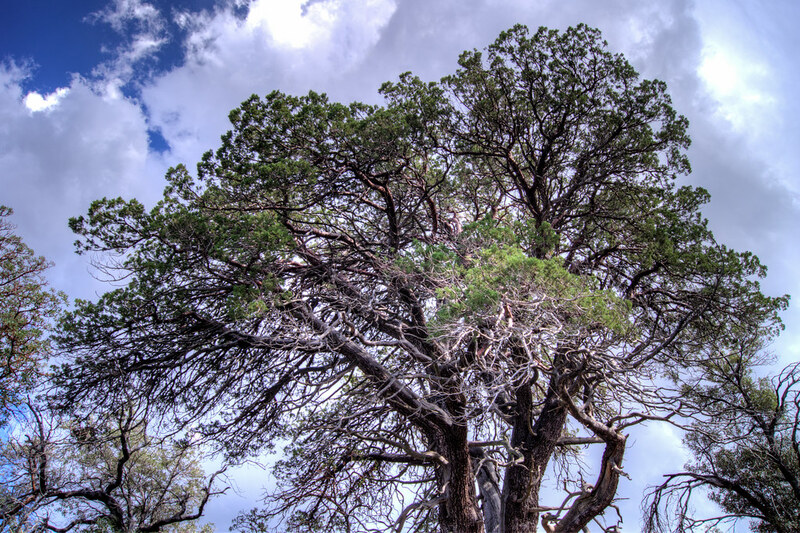 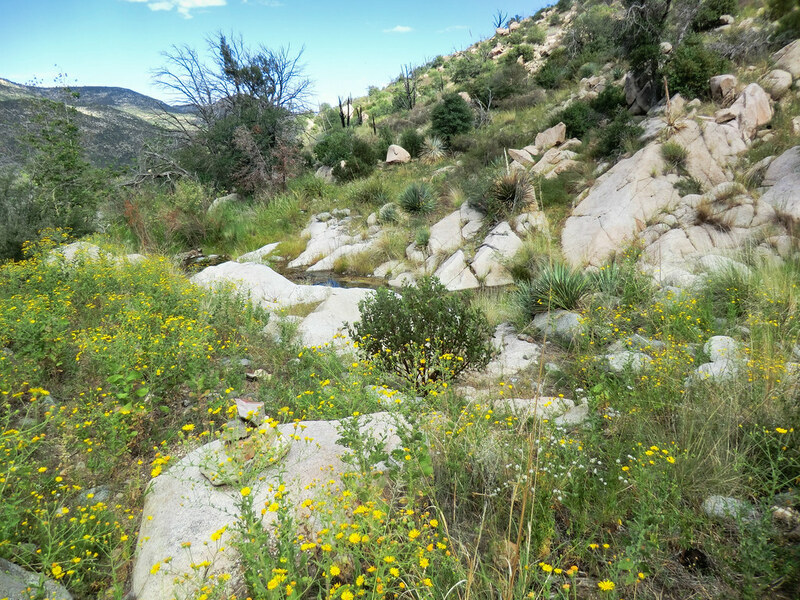 Joy and Sadness – an informative message at the base of the Santa Catalina Mountains. 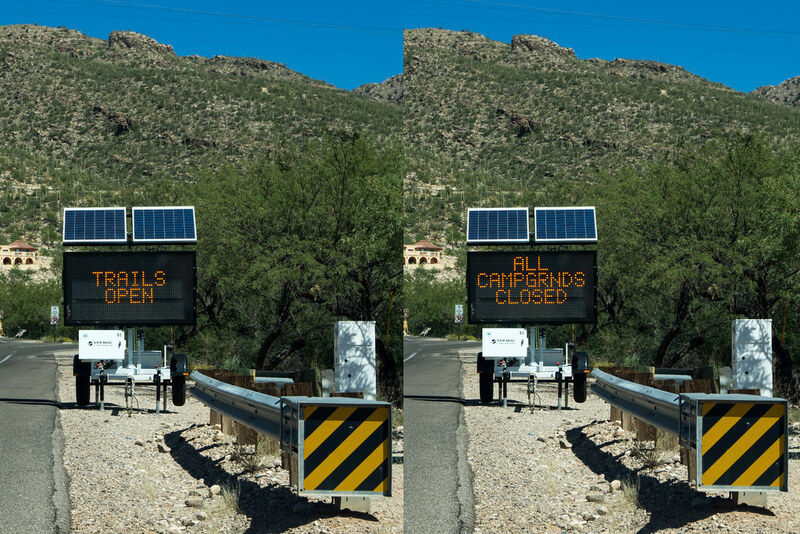 The shutdown of the Federal Government is, at least for me, (beyond encouraging people to think about improving how our government works and/or who we elect) pointless. 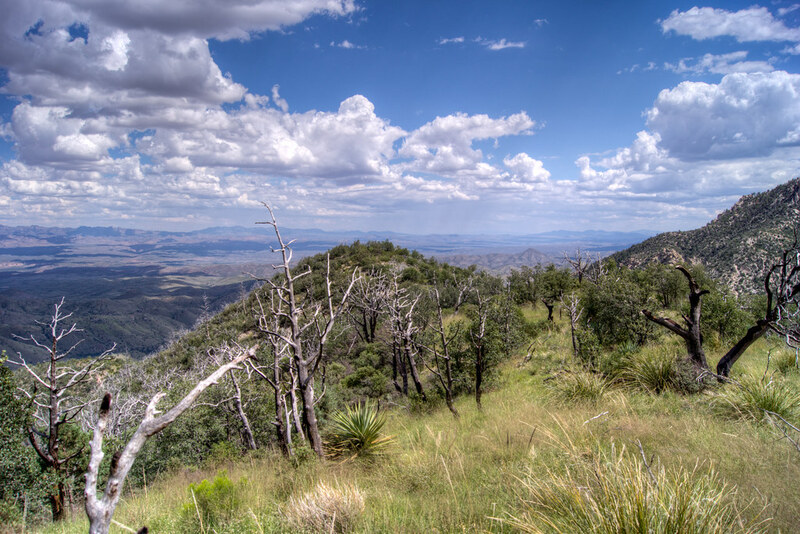 Thankfully Tucson is surrounded by quite a bit of National Forest, BLM, State and County land that is – unlike our National Parks which are ‘truly’ closed – still open for hiking/climbing/running/recreation! 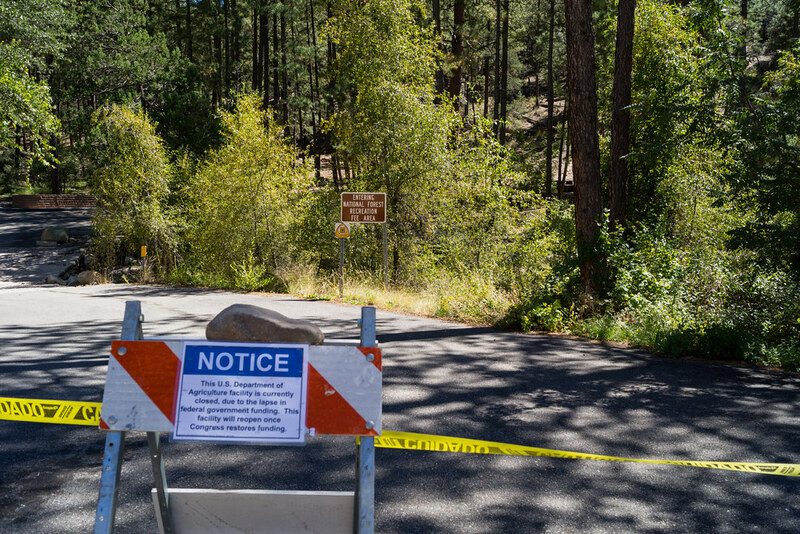 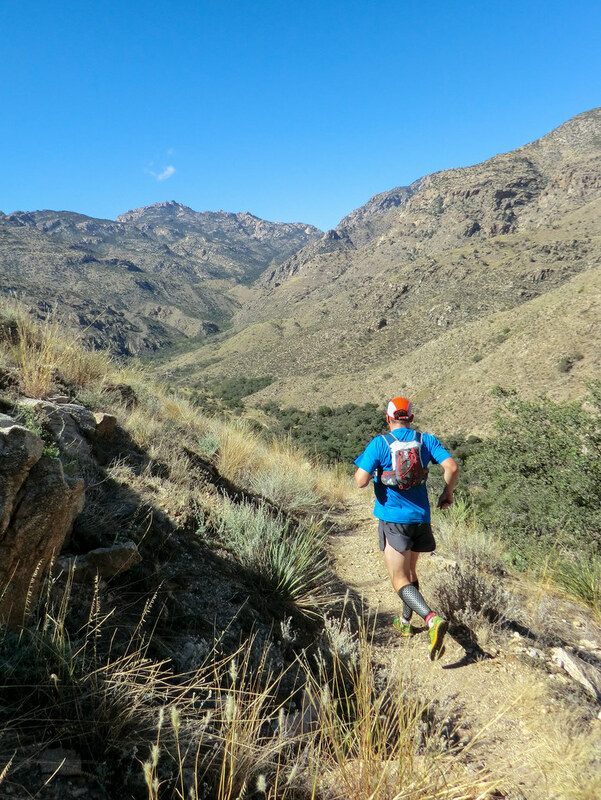 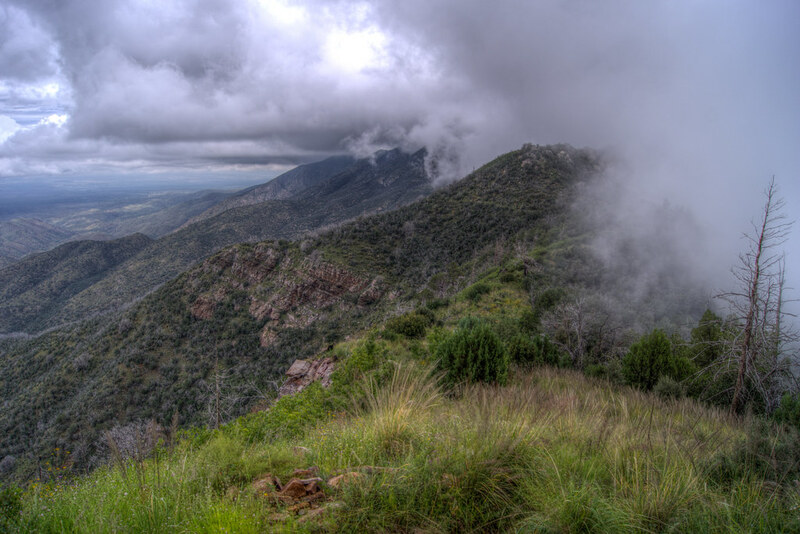 The trails of the Santa Catalina Mountains (Mount Lemmon) remain open – trailheads, pullouts and the highway – open – but bathrooms, visitor centers, picnic areas and campgrounds are closed. 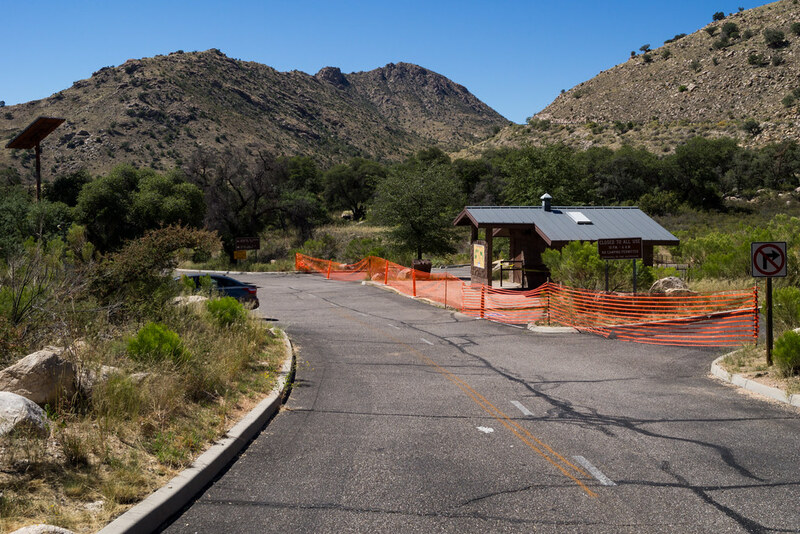 The Molino Basin area is partly open – this is the only trailhead I saw where some of the parking spots were blocked – perhaps the parking spaces were blocked for reasons other than the shutdown? 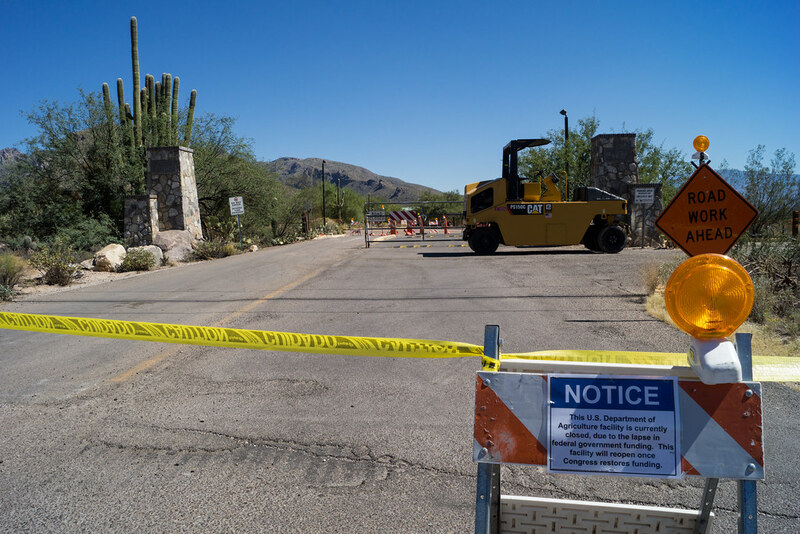 (note that the Prison Camp gate is closed limiting parking to the smaller parking areas near the highway – but that gate has been closed for months now). 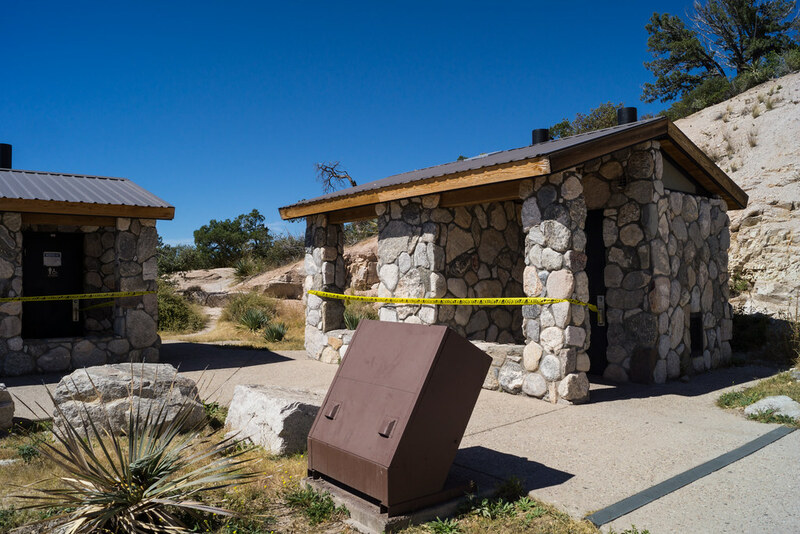 The Windy Point Bathrooms – closed… Summerhaven has the only open public bathrooms on the Mountain that I am aware of – of course Summerhaven and Ski Valley businesses are still open as well. 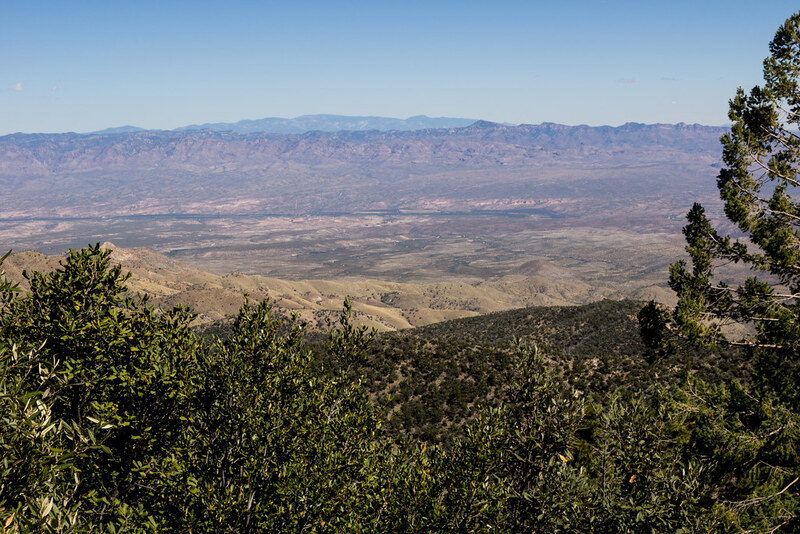 Taking a break and enjoying the view across the San Pedro River into the Galiuro and Pinaleno Mountains – vistas are open! 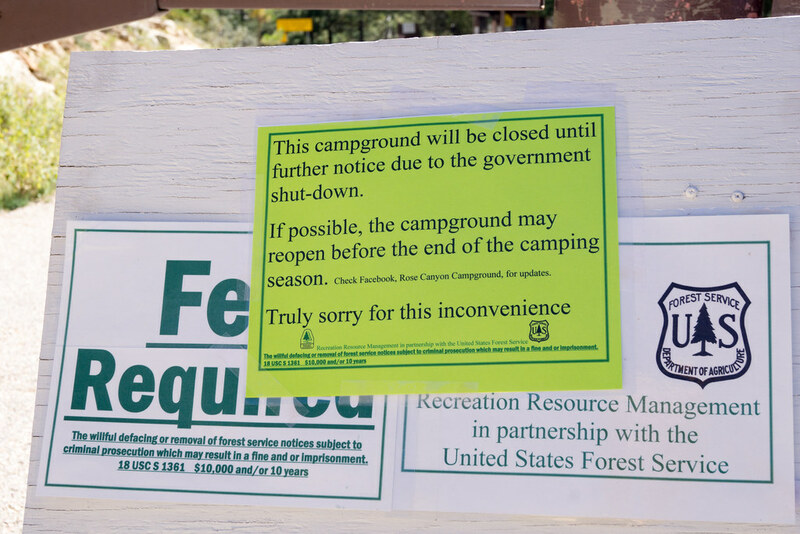 Campgrounds are closed – interesting that these signs have a slightly different tone than the white signs at the picnic area. 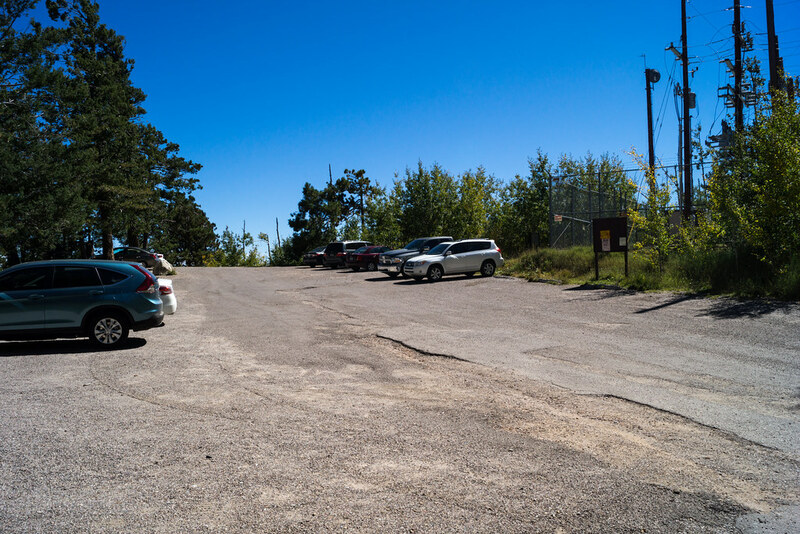 The Summit Trailhead – alive with cars and hikers! 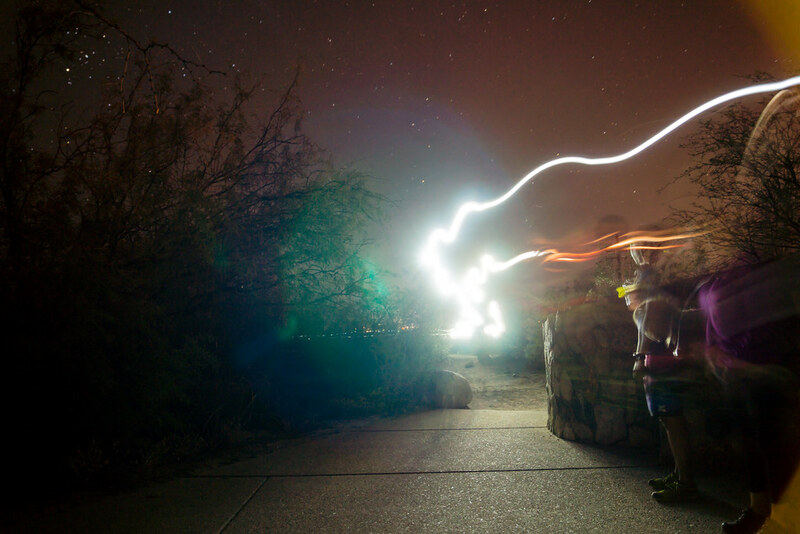 The Bathrooms are closed but the trailhead and hiking is open! 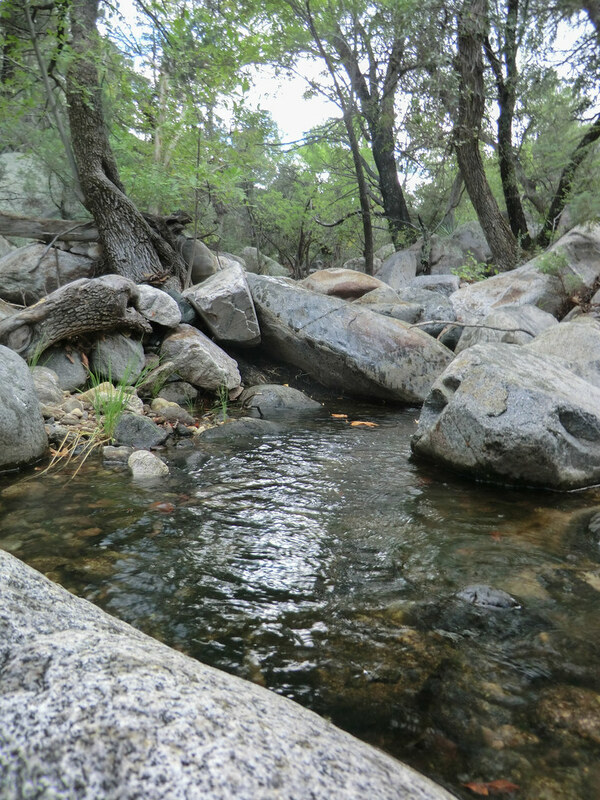 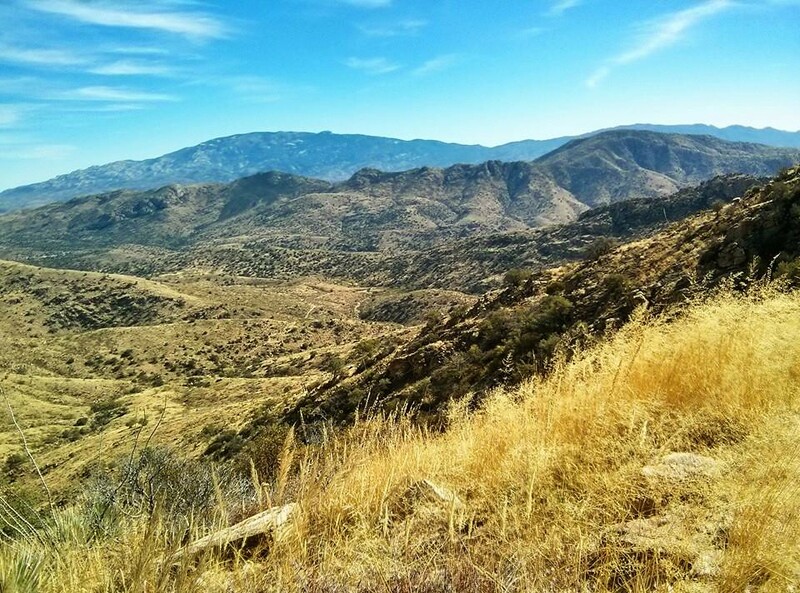 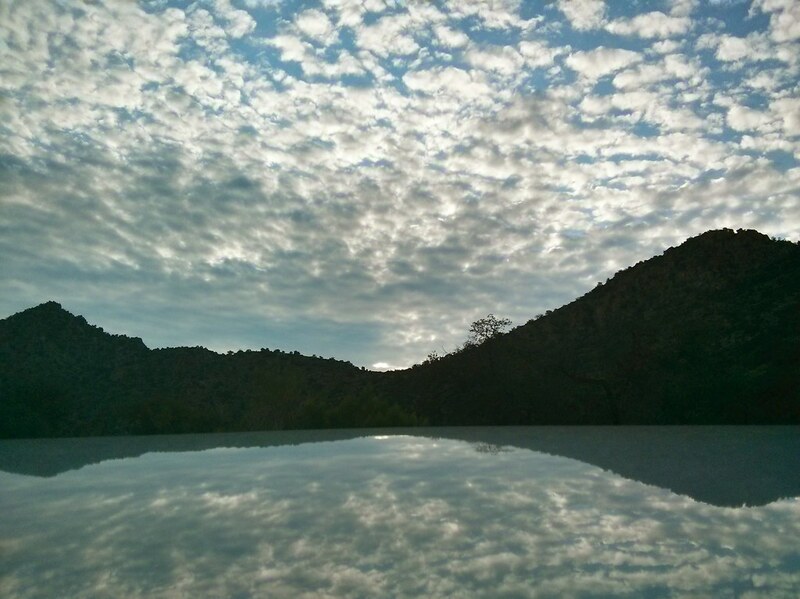 This entry was posted in Friends, Hiking, Life, Santa Catalinas and tagged mount lemmon, santa catalina mountains, shutdown on 2013 October 4 by cmiles.